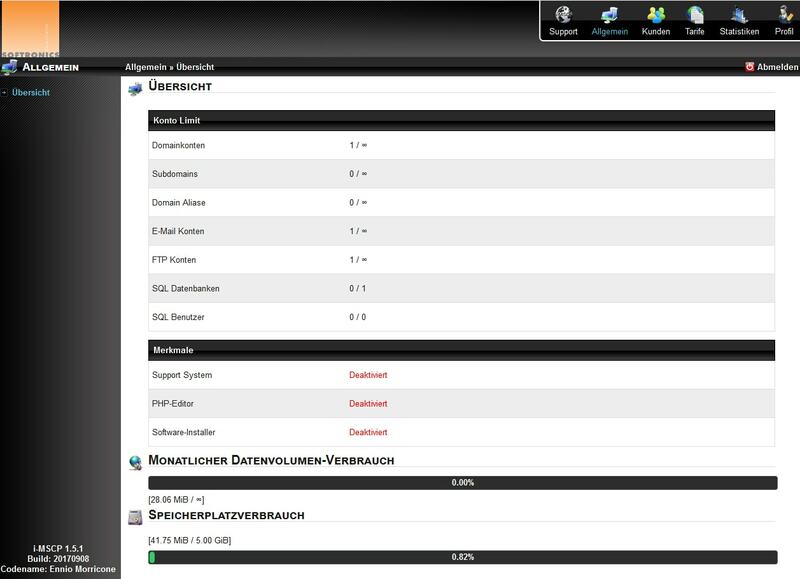 Support/Webhosting/How do you access the control panel? Together with your activation mail you have received your personal username and password. 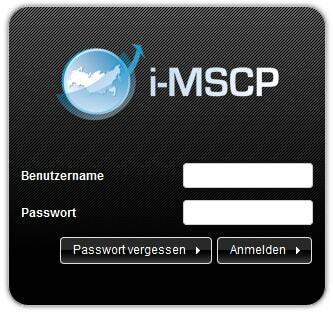 Enter your username and the corresponding password into the login screen and click login. If you enter your login data wrongly three consecutive times the control panel will be blocked for 30 seconds. If you enter the data incorrectly three more times you will get blocked for thirty more minutes. This block can NOT be removed by entering the correct password. In case you lose your password, you can click on “Lost password”. Your new password will be sent to the recorded email address. If you are inactive on the control panel for a longer period, you will be logged out automatically. After logging in you will see the general overview. Support system: Is deactivated by default. In the main menu you can click on “Support” to get to our support contact and our FAQ. Displays how the current amount of used internet traffic and the maximum amount of internet traffic of this month. Shows you how much disk space you are currently using for your data, your databases and in the e-mail mailboxes of your web storage. The upper limit of your dsik space is displayed aswell. In the top right corner, you can see an overview with the main options that are available to you. Customers: An overview of the installed domains. You can create further domains. Hosting plans: Overview of the hosting plans, specifications for new domain accounts. Here you can add hosting plans as well.